Sagrada Familia (Basilica De La Sagrada Familia / Temple Expiatori de la Sagrada Família) in Barcelona is one of the greatest projects of Antoni Gaudi. Huge architectural model of unique architectural style, which incorporated combining Gothic and curvilinear forms in the art Nouveau style. 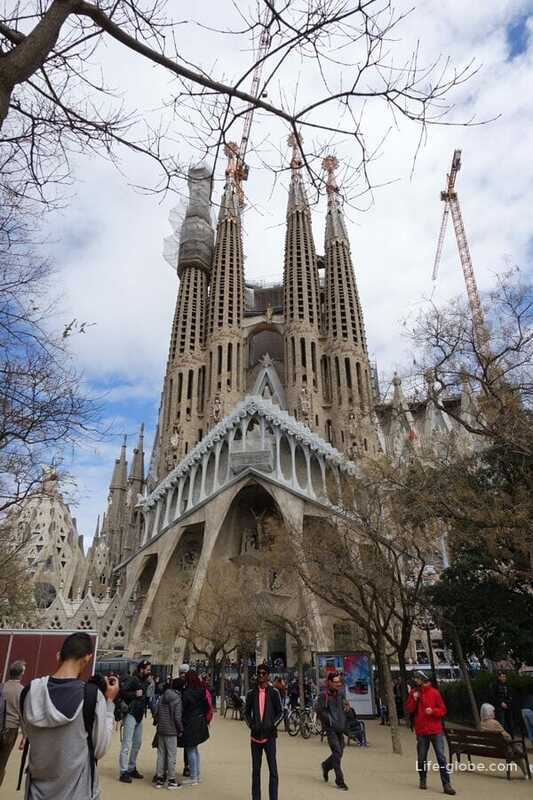 The Sagrada Familia is truly the greatest building of the city, whose construction began back in 1882, under the watchful eye of the architect Francisco de Paula del Villar, he is the author of the original draft Sagrada. In 1883 when Villar resigned, and Gaudi took up the post of chief architect, transforming the project into an architectural and engineering sense. What Gaudi has brought to the project that simply an exquisite combination of Gothic and curvilinear natural forms, so the Church became such a unique creation, not another Gothic Church. In 1914, Gaudi left all other work to focus solely on this one project and worked until his death 10 June 1926, in a tragic accident three days before the death of the greatest architect and Creator. At the time of the death of his second father founder, the Sagrada Familia was built less than a quarter. The completion date of the construction of the temple still remains unknown, because the Church is still not completed. This is probably the most ambitious long-term construction of the modern world. While Gaudi's work over Sagrados he had many assistants and followers, who collaborated with him during his life. After gaudí's death, it is these architects and craftsmen continued the construction of the Sagrada Familia, the work was done according to the plans and plaster models of Gaudi. 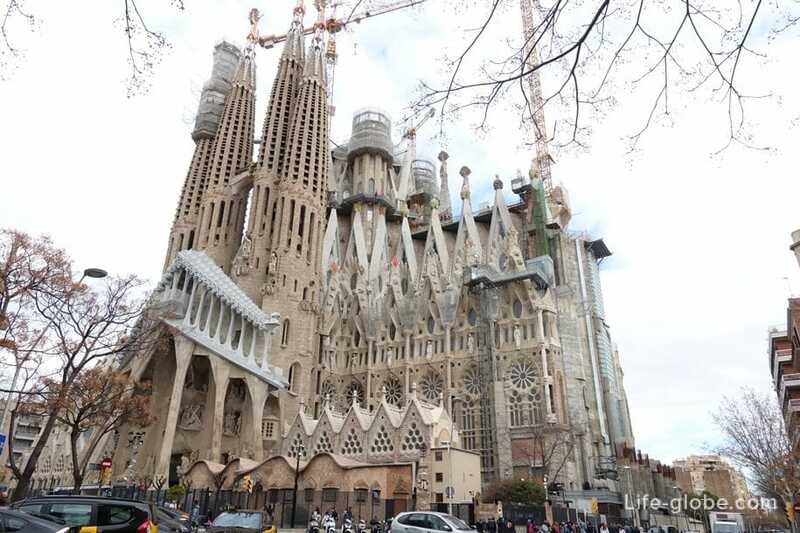 Despite the incompleteness of construction, currently, the Sagrada Familia is an outstanding building of Barcelona. And, indeed, we can say with certainty: "If you're in Barcelona, even without going inside, come and see the unique work, certainly worth it". Spires of Sagrada visible from afar, and you, as the child beckoned candy, go to any call and, as you move toward the goal, the eyes of the more magnificent Basilica. In front of the main entrance to Sagrada spread a small eponymous Park Plaça de la Sagrada Família. A great place to rest after visiting the temple. The facade of the Nativity and the crypt of the Church of the Redeemer, the Holy Family was included in the world heritage List of UNESCO in 2005. Palau Güell, Casa Milà (La Pedrera), Park Güell, was also added to the world heritage List in 1984. The heritage site was extended in 2005, including Casa Vicens and Casa Batlló in Barcelona. All of these elements together constitute the "works of Antoni Gaudí" and "Unforgettable Barcelona Gaudi". Also inscribed crypt in Colònia Güell in Santa Coloma de Cervello. In addition to admire outside, Sagrado you can go. Ticketing desks are located here - near the Central facade. Tickets can be purchased online, good to buy online, each ticket will cost 4-6 Euros cheaper. You can purchase tickets on the official website. As stated on the official website: "Your ticket helps us to build the Basilica. Come to us and help us to realize the dream of Gaudi in 2026". Doing the math, we can deduce that the final completion of the construction works of Sagrada planned for 2026)). Tickets are of several types. 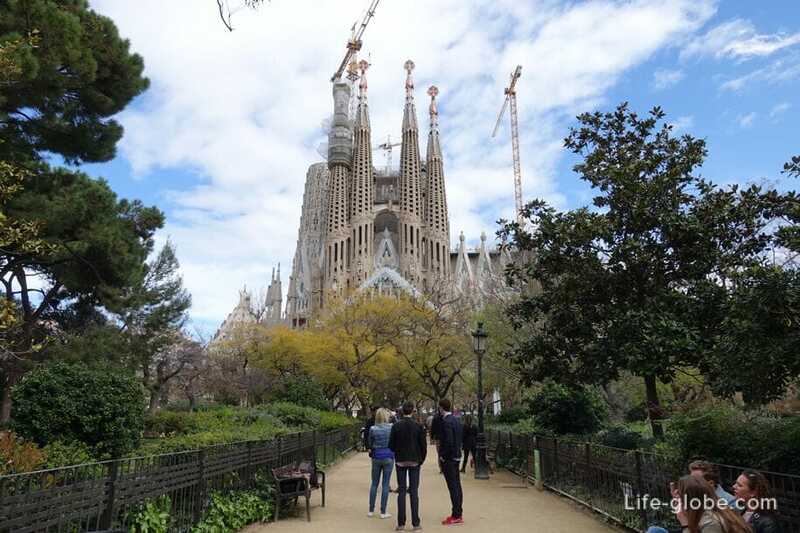 For example: - attending the temple - 15 Euro; - the Church + sightseeing tour - 22 Euro; temple + audio guide + ticket in the House-Museum Gaudí (Park Güell) - 24 Euro; temple + visit one of the towers: on the facade of the Nativity, on the East side of Barcelona, or on the facade of the Passion with views of downtown + audioguide - Euro 29. When you visit Sagrada is to calculate the time, the tours last from 45 minutes to a half hour. Available tours in different languages, including Russian and English. It is also worth considering - the number of visitors is limited, so will have to wait until you're already advanced and it is your turn. Alternatively, it is possible to consider the acquisition of the Barcelona City Pass. 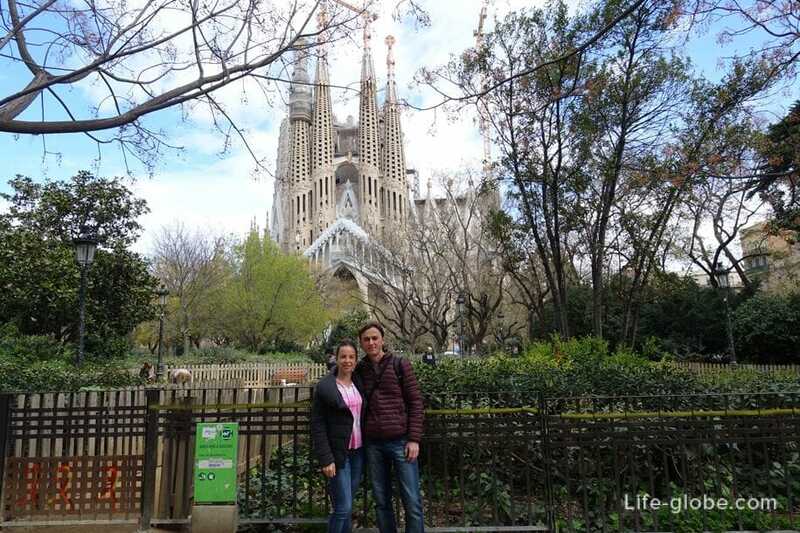 The ticket includes entry to the Sagrada Familia, Park Güell, transfer from/to airport(a), a trip on the tour bus + 20% discount on visiting some other museums and attractions in Barcelona. 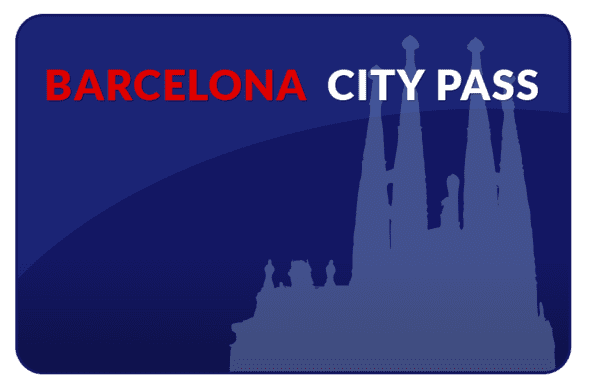 Barcelona City Pass may be beneficial, only if you use the complex for all services, otherwise, cheaper to buy separate tickets to the temple of the Sagrada Familia and Park Guell. The entrance ticket to the works of Gaudí in the Park Güell is 8,50 euros on the spot (at the entrance to the Park) and 7.50 - online. 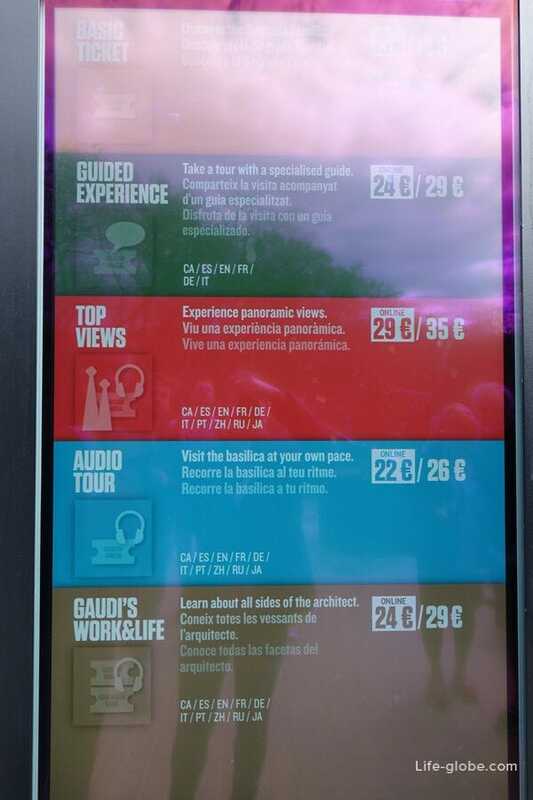 The entrance to the house-Museum Gaudí of Park Güell is charged separately, the visit costs € 5.50. Address: Carrer de Mallorca, 401, 08013 Barcelona, Spain. 25 and 26 December and 1 and 6 January from 09:00 to 14:00. The duration of the excursions depend on the time of year and day of the week. The time tours can be found at the official website. On foot - easy! 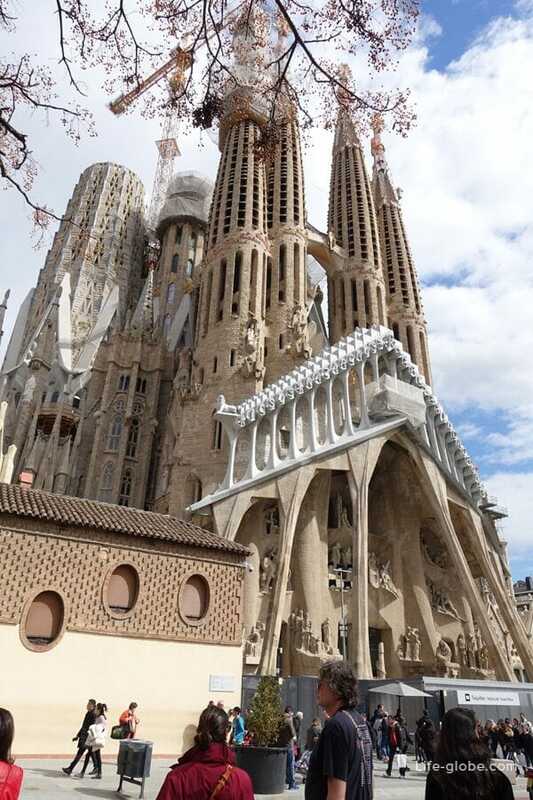 Sagrada Familia is located just 2.5 km from plaça Catalunya square and 1.4 km away from another of Gaudi's - La Pedrera. Near the Temple metro station with the same name - Sagrada Família. The station is served by metro lines L2 and L5. Buses: 19, 33, 34, 43, 44, 50, 51, B20 and B24. Public transport in Barcelona can be viewed here.